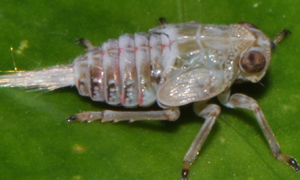 The juvenile Issus - a plant-hopping insect found in gardens across Europe - has hind-leg joints with curved cog-like strips of opposing ‘teeth’ that intermesh, rotating like mechanical gears to synchronise the animal’s legs when it launches into a jump. 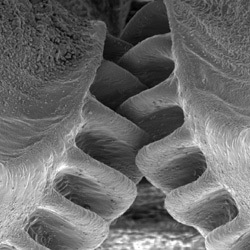 "We usually think of gears as something that we see in human designed machinery, but we've found that that is only because we didn't look hard enough,” added co-author Gregory Sutton, now at the University of Bristol. While there are examples of apparently ornamental cogs in the animal kingdom - such as on the shell of the cog wheel turtle or the back of the wheel bug - gears with a functional role either remain elusive or have been rendered defunct by evolution.